If someone is negotiating with Hamas in Qatar, Prime Minister Netanyahu hasn't authorized it, senior official asserts. Israel denied reports circling the Arab world on Monday of long-term ceasefire discussions being held in Qatar's capital of Doha on behalf of the Jewish state and Hamas. One report suggested former UK Prime Minister Tony Blair had passed a document to Hamas politburo chief Khaled Mashaal regarding a long-term ceasefire with Israel in return for a removal of the IDF's blockade of Gaza. Large issues concerning a "peace deal," such as the status of Jerusalem, would be postponed and not addressed in the ceasefire deal Blair supposedly presented. "There are no negotiations on a long-term ceasefire with Hamas," a diplomatic official told Walla! News. "Not through Turkey, not through Qatar, not by Tony Blair or any other means." The official also noted that Jerusalem wished to emphasize that if private parties are in contact with Hamas, it is not with the authority of Prime Minister Binyamin Netanyahu. Palestinian Authority (PA) Chairman Mahmoud Abbas's Fatah faction was up in arms over the reports on Sunday, calling the talks an attempt to bypass the "legitimate" rule of the Palestine Liberation Organization (PLO) and its chairman Abbas. 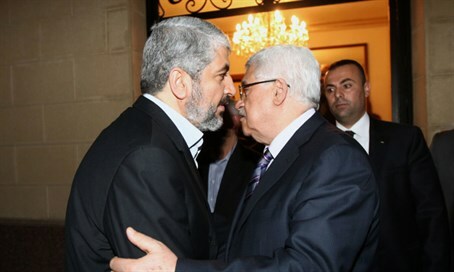 Abbas then asserted on Monday night that direct talks between Israel and Hamas "are being held in an African country." Hamas itself was contributing to the spread of the reports on Monday with Yassin Aktay, advisor to Turkish Prime Minister Ahmet Davutoglo, alluding to negotiations in an interview with the terror group's journal al-Risalah. According to Aktay, Hamas is approaching the formulation of "an overall agreement with Israel."